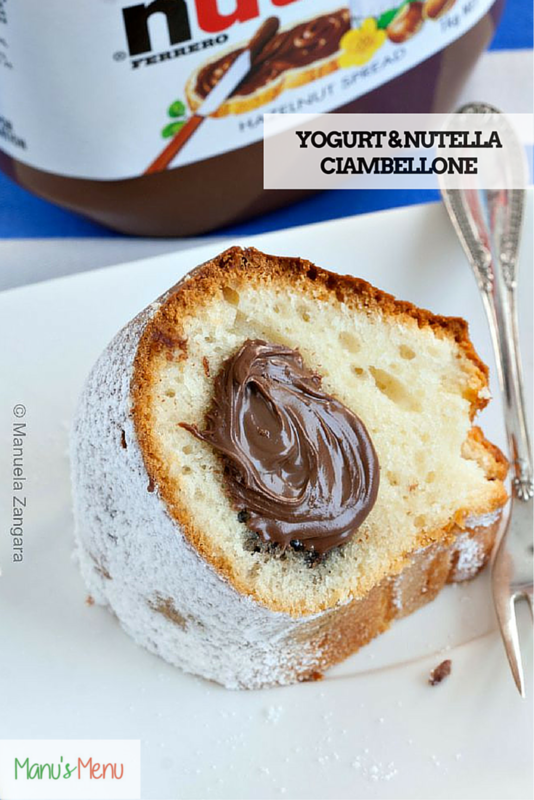 Today I want to share with you a classic Italian recipe: Yogurt and Nutella Ciambellone. 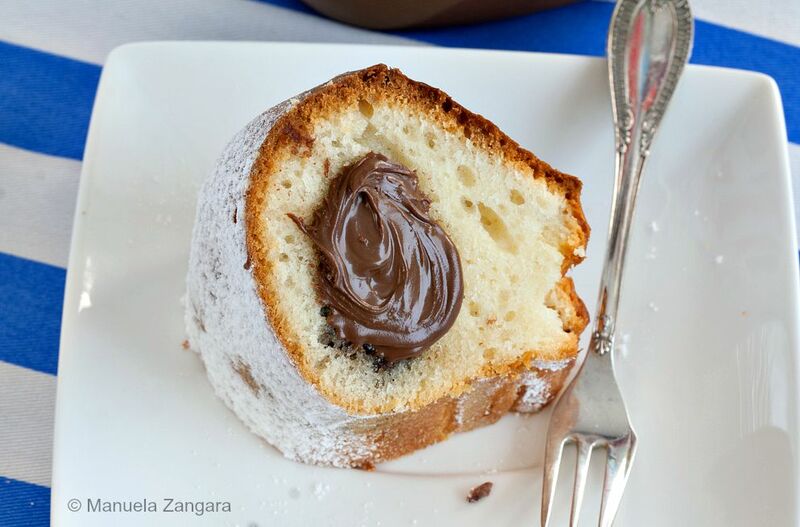 Ciambellone literally means “big doughnut” and you can easily see why… It is a classic Italian cake and we usually eat it for breakfast. It is soft and moist and it is relatively healthier than other cakes as it does not contain butter. 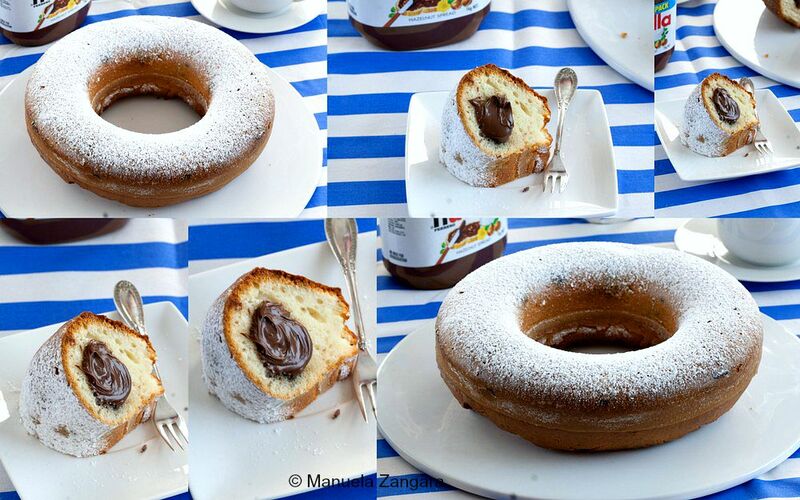 You can make it plain, but I like to fill it with Nutella and make it extra delicious. The trick to get your Nutella right in the middle and keep the batter “clean” is to… freeze the Nutella before adding it to the batter!! I know it sounds crazy, but it actually works! 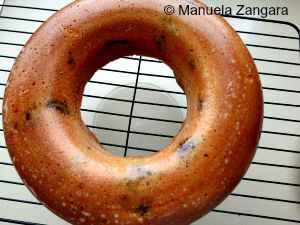 My kids love to dip this ciambellone in their milk, while I prefer it “dry”. Either way, it is a winner recipe and a very easy one to make. If you are not an experienced baker or if baking intimidates you, give this cake a try and you will be pleasantly surprised! Enjoy! 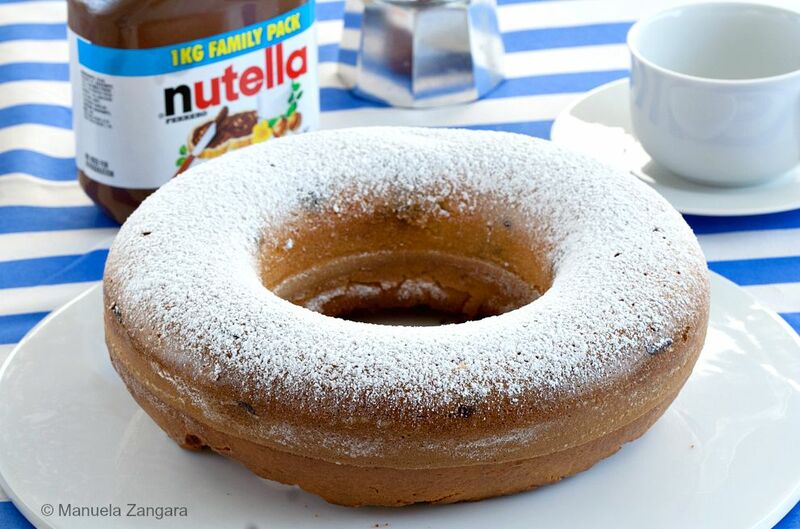 Yogurt and Nutella Ciambellone - a classic Italian cake perfect for your weekend breakfast! 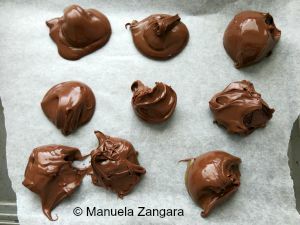 Put the 8-10 tablespoons of Nutella on a tray covered with baking paper and freeze until hard. This will help to keep the Nutella separate from the batter while baking and it will result in a neater cake. 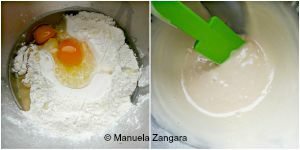 Grease and flour a 1 lt – 4 cup Ciambella tin and keep it aside. Put all the ingredients apart from Nutella in the bowl of an electric mixer and beat until smooth. Pour 2/3 of the batter into the prepared tin. Add the frozen Nutella and cover with the remaining batter. Bake in a pre-heated oven at 180°C – 355°F for 40 to 60 minutes or until a skewer inserted in the cake will come out clean. Let it cool down, then unmould it and dust with icing sugar.